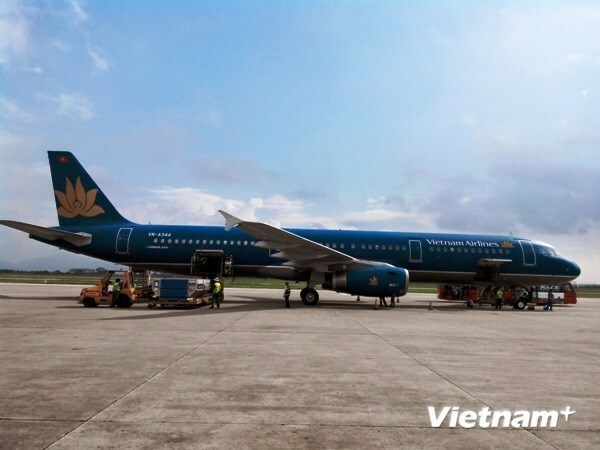 The Vietnam Airlines Corporation plans to build a logistics centre in the Mekong Delta city of Can Tho this year, Deputy General Director Trinh Hong Quang said at a meeting with municipal leaders on May 18. The 30ha centre will be built next to Can Tho International Airport to meet the increasing demand of goods transportation by international and domestic airlines, with a capacity of transporting at least 600,000 tonnes of goods per year. Along with the construction of the logistics centre, Quang said the corporation will open new routes from Can Tho city to other destinations in the country and abroad. He said the corporation opened three logistics centres at Noi Bai, Tan Son Nhat and Da Nang international airports, but it is difficult to expand these centres due to the lack of land. According to General Director of Tan Son Nhat Cargo Service Joint Stock Company Nguyen Cao Cuong, cargo throughout the Can Tho International Airport is currently 4,200 tonnes per year. Meanwhile, the output of agricultural and aquatic products and other goods of Can Tho through the Tan Son Nhat International Airport is 150 tonnes per day. Speaking at the meeting, Vice Chairman of the municipal People’s Committee Dao Anh Dung said the city was ready to create good conditions for Vietnam Airlines to build the planned logistics hub.